If you want to purchase a mountain bike but have little to no idea of what you should be looking for, don’t worry – we’ve got you covered. 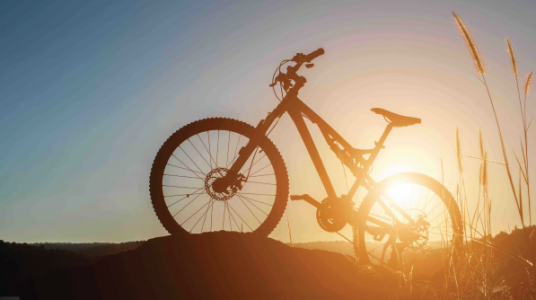 Acquiring the right mountain bike can make all the difference in your riding experience. It doesn’t matter if your budget is small or large, you want to find a bike that suits your riding style. Mountain bike prices range from $500 to more than $5,000. If you are a beginner in this domain, choosing the right bike might be overwhelming, but it’s not impossible. It’s not a bad idea to spend a little less the first time (we hope this will be the first of many) so that you can experiment with it and determine what you like. If you’re a pro, you may be looking for something pricier and sturdier. Renting, testing, demoing and borrowing bikes will help you narrow down your selection. If it’s your first time purchasing a mountain bike, there is no reason to go for the high-end stuff. If you get bored with the bike, you won’t curse the day you threw away thousands of dollars. So, for starters, we would recommend getting a mountain bike that costs under $1,000. A decent hardtail can be found at this price. Stay away from second-hand pieces because with mountain bikes they tend to sustain a lot of non-discernable damage. In this price range, full suspension is not a good option; at this price they’re just not well made. Be sure you’re looking for the type of wheels that will suit your riding style. Not all mountain biking is the same. The frame should also be made of a decent quality material. At this price, aluminum or steel are your best bet. Don’t expect a better material at this price. If you see a bike with a frame made out of a “fancy” material at this price point, you are probably getting yourself involved in something dodgy. Also, check the distance from the bars to the saddle. If you can reach the bars and be comfortable while riding, then it is a good sign. Keep this in mind: do not buy any bike until you try it. Test it with a pair of sports shoes and go for a spin. If it is comfortable and suits your riding method, then you may have found what you’ve been looking for. Now we are getting to the cool stuff. At this price point, you might even get a mountain bike with a full suspension system. Again, don’t be fooled by the used ones. They are often not worth your time or money. This type of mountain bike will set you back $1,000 – $2,000. At this stage, expect to pay anywhere between $2,000 and $10,000. In this category, you will see mountain bikes with frames made out of carbon fiber or titanium. These bikes will probably outlast you – so ride ’em hard and have some fun! When it comes to mountain bikes, you will also need to know what type you want to purchase. For example, affordable bikes are mostly rigid, that means they have no suspension features. Compared with the bikes that come with a suspension system, the rigid ones are less comfortable. A hardtail is an interesting beast. The front wheel is connected to a suspension fork, and the impact is absorbed by the suspension system. However, the rear wheel is rigid; it doesn’t have a suspension system hence the name hardtail. These bikes come at an affordable price and do the job just fine. Hardtails can be used for cross-country riding and mountain trails; just don’t use them for downhill trails. They are not in the affordable category for nothing. A full suspension bike can soak many bumps, increase traction and diminish the impact on the rider. It costs a little bit more than a hardtail, but you can do a lot more with it. If you are planning to buy a mountain bike for your kid, go for the 24 inches tires. These small tires will help your child control his bike more quickly. If you are planning to buy one for yourself, the 26 and 27.5-inch tires are the way to go. If you want to move on different terrains with no problem, the 29 inches are the tires you are looking for. Another thing to look out for is a helmet. Going on any trail, be it in the countryside, mountain, on hills, etc., will require that you get protection. A decent helmet won’t cost you a lot, but it will make a world of difference, especially if you are a beginner. Gloves can also help you keep a firm grip on the bars. Speaking of which, always look if the braking system is working propery. You can upgrade it later, but for now, you must make sure that you’ll be safe. These are the many factors you will need to take into consideration when you want to purchase a bike. If you have a friend who knows more about mountain bikes than you do, take him with you when it’s shopping time. 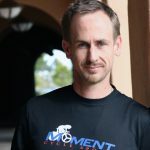 He might give you valuable advice and help with the details so you can pick the right bike for your needs. So I have been riding heavily for about 2 years now, so I feel I am closer to the “1st timer” feel than most who will respond here. I have to say that beyond anything else, look to buy something that will allow you to have fun. The fun will keep you in the sport and drive you to upgrade parts or getting a new bike eventually, but a good rule of thumb is to stay on the same bike for 6–12 months to ensure you love the sport and are going to stick with it…. otherwise, bikes are quite expensive. I got my first bike, a hardtail (no rear suspension) for $500 on Jenson and quickly fell in love with this sport. Look on craigslist find something cheaper from someone who tried the sport and didn’t get bit by the bug. In a perfect world go with 27.5″ tires for someone under 6′ and 29″ tires for someone over 6′. Disk brakes were a must have for me and I don’t regret it one bit. Stopping is important. I’m not a small guy. Watch videos online about proper body positioning and riding steep stuff. also, locate the closest trails to you and start with cross country style riding to build endurance. Pedaling is hard. No one likes it. Once you actually get a bike and get a feel of riding. You will probably get a bit to buy the bug of “upgraditus” Try to fight it, but when you can’t the best upgrades for your bike will be at the contact points of your bike. New Grips and pedals will make a huge difference sticking on the bike. Furthermore, new tires can and will change the way your bike rides probably more so than any other upgrade you can add.